Let’s face it, your container cargo isn’t worth a dime until it’s on a store shelf. SalSon’s transloading services help you get your imports to market as fast as possible. In fact, we can turn most inbound containers within 24 hours from the time they clear customs. For Newark transloading services, our 800,000-square-foot container freight station in Newark operates 24/7. Why SalSon for Transloading Services? Speed. Stripping in 24-hours and very often for same-day availability. Location. At our flagship location in Newark, New Jersey, we operate a million square feet of warehouse space (multiple facilities) less than a mile from Port Newark. Value added services. We can unload, sort, palletize, shrink wrap and perform any value added services required. Import or Export. We primarily handle imports, but we also do export consolidation from our Newark transload site. High-speed sortation system. We’ve invested in systems that can process as many as 40 thousand cartons in an 8-hour period. Integrated solution for product distribution. We can get your container from the port, strip it, load cargo onto a trailer and deliver it. Frequent shipments to 64 major market locations. See the SalSon overview video. Foreign trade zone. We operate within an FTZ in Newark. One large customer uses transloading services within our FTZ to reduce the cost of customs entries. For this global fashion business, inventory needs change fast across its nearly 4,000 stores. It needed a nimble logistics partner that could allow more real-time management of inventory and replenishment. Get imports to market faster. Reduce dray costs. 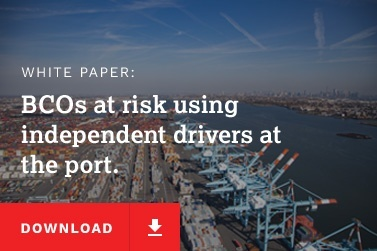 Leverage SalSon’s on-port transload location in Newark. Gain visibility to cargo. Whether it’s in the container or in our warehouse, you’ll know the location of your cargo at all times through our MySalSon visibility tool. Need transloading and container freight station services? Let’s talk. Just complete the short form below and we’ll be in touch.